Thank you for visiting our website. We welcome your inquiries and encourage you to look through the site and see how our commitment to service and quality has made us one of the top competitors in the manufacturing industry. For over 38 years, Lee Tool Company, Inc. has specialized in the fabrication of components for the aerospace, power generation, optical and laser technology industries. Numerous other industries have benefited from our global reputation for quality, and on-time delivery at a cost savings. In addition to our advanced machining capabilities, Lee Tool also provides individual customer attention. We work with our customers from the prototype stage to full production runs, while providing valuable evaluations in engineering design and production costs. Together with our customers, we continuously strive to be cost effective while still maintaining high quality product. Founded in 1981 as a one-man machine operation, Lee Tool Company, Inc. has grown to become a dynamic and progressive organization with advanced machining capabilities. The Lee Tool team is now made up of many experienced employees working in our 10,000 square state-of-the-art facility in Western Massachusetts. From one-piece prototypes, to high volume production components, we strive to exceed customer expectations. Lee Tool’s engineering department is able to process jobs to your exact tolerances by using your supplied drawings. Our capabilities allow us to work with solid models, CAD, IGES or DXF files, etc. Experienced in reverse engineering, our team is equipped to design and manufacture your components to your specifications. Lee Tool is a single source solution for close tolerance fabrication and finishing of various types of materials. Our central Northeast location allows us to utilize certified/approved local sources for processes such as anodize, braze, FPI/MPI, heat treat, plasma spray, various plating, welding, etc. In 2001, Lee Tool Company, Inc. became an FAA-approved Repair Station (#L8TR866Y). To see a complete listing of our ratings, please take a look at a copy of our latest Operations Specifications. Lee Tool is a solution based 145 Repair Station committed to providing exceptional repair services to our aviation partners. ISO 9001:2015 accredited. From material selection through final inspection, quality assurance is the most critical constant of each process. Our entire team, from machinist to inspector, strives to ensure quality and accuracy through all stages of production and inspection. It is the mission of Lee Tool Company, Inc. to creatively apply advanced machining-based technologies to manufacture the highest quality products, while continuously striving to be cost effective. 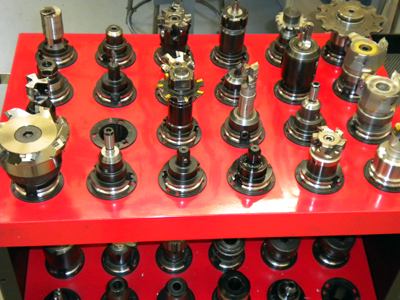 Thank you for considering Lee Tool Company, Inc. for your precision machined components and aerospace repairs. Our team of experienced personnel looks forward to the opportunity to work with your company. ©2016 Lee Tool Company, Inc.